The ministry of urban affairs had partnered with Google last year for the service, however, only a few cities have so far implemented it. NEW DELHI: The ministry of urban affairs has asked the state authorities and urban local bodies to connect the public and community toilets in the cities with Google toilet locator service. The move has been taken to sustain the cleanliness status of the city and help common people locate toilets. A letter written to the urban local bodies and concerned state authorities this week said that the ministry has successfully run the program in over 40 cities and want to continue it further in rest of the cities across the country. The ministry has also reminded that the particular initiative of connecting the toilets with Google locator would add to the points in the Cleanliness Survey 2018. “Cities are advised to proactively work to map data of their public toilets on a priority basis,” read the letter written on November 7. Last year, the ministry of urban affairs had come up with Google toilet locator with a view to help people locate toilets. 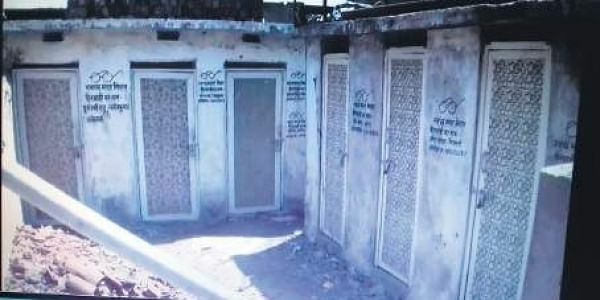 Officials said that although lakhs of toilets have been constructed under the flagship mission of Cleanliness, finding a toilet is indeed a problem, especially for women. So far, over 2.23 lakh public and community toilets have been constructed in various parts of the country. It was in December 2016, when the ministry launched the Google Map toilet locator app to help people find clean public restrooms close to them in Delhi and NCR areas and in Bhopal and Indore in Madhya Pradesh. A senior official of the ministry of urban affairs said that the aim is to provide the facility to people in other parts of the country as well. Through the mobile application, users can access public toilets located in public places including malls, hospitals, bus and railway stations, fuel stations, Metro stations and public and community toilet complexes in the cities. Moreover, the app also gives information about the nature of the toilet seats available, free or pays for use and working hours.